In February 2013, the House of Commons voted in favour, on first reading, of a bill that would change the Access to Information Act (ATIA) and the Privacy Act concerning the Canadian Broadcasting Corporation. It is scheduled for second reading debate and vote during the week of March 25. Canadian Journalists for Free Expression is concerned that this bill will jeopardize the journalistic independence and integrity of the CBC and could reveal the identity of confidential sources used by its reporters. The bill is unnecessary, it may create greater uncertainty about the CBC’s disclosure obligations, and it appears to be aimed at doing damage to the CBC because it favours the commercial interests of private media outlets that compete with the CBC. What does Bill C-461 do? Private member Bill C-461 was introduced by MP Brent Rathgeber (Edmond-St.Albert) who is on record as saying that he sees no need for public broadcasting today. For several years Rathgeber has used Parliamentary queries and access to information requests to try to obtain information on CBC spending on, among other things: hospitality, food, drink, hotels and transportation at foreign bureaus; the salaries, allowances and expenses for Peter Mansbridge, George Strombolopolous, and Hubert T. Lacroix; and payments to Rick Mercer. 68.1 This Act does not apply to any information that is under the control of the Canadian Broadcasting Corporation that relates to its journalistic, creative or programming activities, other than information that relates to its general administration. 18.2 The head of the Canadian Broadcasting Corporation may refuse to disclose any record requested under this Act if the disclosure could reasonably be expected to prejudice the Corporation’s journalistic, creative or programming independence. This language would reduce protections for the CBC’s journalists, weaken the CBC’s independence and position in the marketplace, create greater uncertainty about what it has to disclose and, in the future, generate time-consuming and costly court cases. We want more disclosure from governments. In fact our recent submission to the Information Commissioner (A Hollow Right) calls for extending the ATIA to cover more government bodies (such as the House of Commons, the Senate and some Cabinet materials), reducing the redaction of information, limiting delays, and defining exemptions narrowly with appropriate harms test. Bill C-461 does nothing to promote that agenda. Instead, it would significantly weaken the CBC’s ability to deliver a key component of its mandate: carrying out public service journalism and creating programming completely independent from the government. That mandate was given to the CBC by Parliament decades ago and remains in force. To carry it out, CBC journalists must be able to conduct research and prepare programs without pressure to disclose the results prematurely or surrender operational details. The corporation must be able to acquire broadcasting rights and creative content without being required to disclose negotiating positions or strategy. In this respect, arm’s-length public broadcasters differ from other government departments. That is why other parliamentary democracies protect these broadcasters with exclusions like the one current in section 68.1 of the ATIA. Canada should do no less. Contrary to the claims of the bill’s supporters, there is no longer a lack of clarity about section 68.1 of the ATIA. It has been clarified by the courts. By contrast, the wording of C-461’s proposed exemption is no clearer on its face than section 68.1, and if passed would wipe out the benefit of judges’ extensive deliberations on the existing law. The Information Commissioner took the CBC to court several years ago because of complaints about the CBC’s refusal to release documents citing section 68.1 of the Access Act. The Information Commissioner objected that the decision had been made solely by the CBC. She claimed that that she should have the right to examine records to determine if the information they contain meets the definition of being for journalistic, creative or programming activities. The Federal Court agreed (September 15, 2009) with the Information Commissioner, and upon appeal by the CBC, the Federal Court of Appeal concurred (November 23, 2011). As a result, the CBC and the Information Commissioner have been working to process complaints with the Commissioner reviewing records to determine if an exclusion applies. Both parties have expressed satisfaction with this understanding. CJFE believes the current Access law has been clarified and appears to be working. The Information Commissioner recently awarded the CBC an “A’ grade for its outstanding improvement in the timeliness of disclosures under the current ATIA – and the CBC now refuses requests in only 4.2% of cases. Bill C-461 would overturn the clarity and high standard of performance achieved by the Federal Court of Appeal decision. It would create the kind of uncertainty it says it seeks to end. Parliamentary democracies offer their public broadcasters the protection of an exclusion because it is a stronger protection for their integrity and independence than an exemption. Repealing the exclusion and introducing C-461’s exemption, the onus would be reversed. In court the CBC would have to prove, in each and every case, that the release of particular documents would cause harm to the CBC’s independence. Note that harm is not broadly to the integrity of the CBC’s journalistic, creative and programming work, but merely the corporation’s independence, which is usually taken to mean independence from the influence or interference of government and Parliament. This is a very narrow protection, one that is vulnerable to subjective interpretations. In other words, if C-461 is passed the CBC will have to argue and prove, in every instance, why journalistic and programming information - including reporters’ notebooks and confidential sources and all other information relating to identifying stories, collecting, editing and presenting them - should not be made public. And C-461 would effectively undo the decision of the Federal Court of Appeal about the absolute right of the CBC, consistent with Supreme Court of Canada decisions, to protect its journalistic sources. In such a situation, what whistleblower would approach a CBC reporter? How could CBC journalists in good faith promise to protect their sources? How, both commercially and ethically, could the CBC sustain any investigative journalism if the process and the research could be revealed to CBC competitors or to the subjects of CBC investigations? In fact, a chill would fall upon CBC journalists and the broadcaster’s ability to produce journalism with integrity would be seriously jeopardized. A bill that ostensibly aims to increase accountability would destroy the public broadcaster’s ability to hold government and the powerful to account. CJFE believes that an injury-based exemption is a serious threat to free expression in Canada because it does not sufficiently protect the CBC’s interest as a public broadcaster. It should also be pointed out that under the current law the CBC is already subject to a level of scrutiny that does not apply to its competitors. Bill C-461 increases this discrepancy. 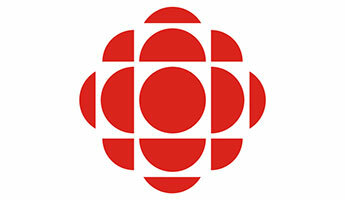 It could cripple the CBC’s ability to do investigative reporting and thus reduce the CBC’s role in Canadian society. C-461 also makes a number of amendments to the Privacy Act ostensibly to make it consistent with changes it makes to the Access Act. However, it could have a quite unintended consequence. These amendments remove the CBC’s right to exclude privacy information collected for reasons of journalism and instead makes disclosure of that information subject to a test of injury to the CBC’s independence. The result could be, for example, that in a case of the CBC investigating an organized crime figure, that person could take the CBC to court to force the Corporation to turn over any research they had uncovered about him – even before a report is broadcast. No private broadcaster would be subject to similar provisions. This in itself would be a death blow not just to investigative journalism but to any substantive journalism. We have noticed that since the CBC was made subject to the Access Act, the great majority of access requests to the CBC have come from one media competitor seeking information that would often enhance its competitive position – such as the salary of top talent or the amount of a CBC Olympic bid. We fear that far from being an exercise in accountability, Bill C-461 is designed to weaken the public broadcaster and to strengthen the hand of media competitors for ideological ends. This is hardly the best way to serve accountability or journalism in the public service. * S3.1 For greater certainty, for the purposes of this Act, information that relates to the general administration of a government institution includes information that relates to expenses paid by the institution for travel, including lodging, and hospitality. En février 2013, la Chambre des communes a adopté, en première lecture, un projet de loi qui modifierait la Loi sur l’accès à l’information (LAI) et la Loi sur la protection des renseignements personnels (LPRP) relativement à la Société Radio-Canada. Le débat en deuxième lecture et le vote sont prévus pour la semaine du 25 mars. Journalistes canadiens pour la liberté d’expression (CJFE) craignent que ce projet de loi ne mette en péril l’indépendance journalistique et l’intégrité de CBC/Radio-Canada et qu’il ne compromette le secret des sources de ses reporters. Ce projet de loi n’a pas de raison d’être : il risque de créer une plus grande confusion au sujet des obligations de divulgation de CBC/Radio-Canada et il semble que son objectif soit de nuire à CBC/Radio-Canada, puisqu’il favorise les intérêts commerciaux des diffuseurs privés qui sont en concurrence avec la Société. Quels sont les changements introduits par le projet de loi C-461? Le projet de loi C-461 a été déposé par le député Brent Rathgeber (Edmonton-St. Albert), qui a publiquement déclaré qu’il ne voyait ,a href="http://albertadiary.ca/tag/quebecor-media">pas l’intérêt d’un radiodiffuseur public (article en anglais) de nos jours. Voilà des années que M. Rathgeber soumet au Parlement des questions et des demandes d’accès à l’information pour essayer d’obtenir des renseignements sur les dépenses de CBC/Radio-Canada, entre autres sur l’accueil, les repas, les boissons, l’hébergement et l’envoi de journalistes dans les bureaux à l’étranger ainsi que sur les salaires, indemnités et frais de Peter Mansbridge, George Stroumboulopoulos et Hubert T. Lacroix et les sommes versées à Rick Mercer. 18.2 Le responsable de la Société Radio-Canada peut refuser de communiquer des documents demandés en vertu de la présente loi si leur divulgation risquerait vraisemblablement de nuire à l’indépendance de la Société en matière de journalisme, de création ou de programmation. Or, ce libellé réduirait la protection des journalistes de CBC/Radio-Canada : il porterait atteinte à l’indépendance de CBC/Radio-Canada et à son positionnement sur le marché; il créerait une plus grande confusion sur ce que la Société est tenue de divulguer et il aboutirait à des procédures judiciaires longues et coûteuses. Nous voulons des gouvernements plus transparents. En fait, nous avons récemment adressé, à la commissaire à l’information (A Hollow Right – en anglais), une demande visant à étendre le champ d’application de la LAI à d’autres entités gouvernementales (p. ex. Chambre des communes et Sénat) et documents à l’intention du Cabinet; à réduire le retranchement des renseignements, à limiter les délais de traitement des demandes et à donner une définition plus restrictive des exemptions, avec une indication claire des préjudices prévisibles. Bien loin de contribuer à l’atteinte de cet objectif, le projet de loi C-461 amoindrit considérablement la capacité de CBC/Radio-Canada à s’acquitter d’un aspect essentiel de son mandat, qui est de faire du journalisme d’intérêt public et de créer des émissions en toute indépendance du gouvernement. Ce mandat, confié à CBC/Radio-Canada par le Parlement il y a plusieurs dizaines d’années, est toujours en vigueur. Pour le remplir, les journalistes de CBC/Radio-Canada doivent être à même de préparer des émissions sans l’obligation de divulguer prématurément les résultats de leurs enquêtes ou de communiquer les détails de leur mode d’opération. La Société doit pouvoir faire l’acquisition de droits de diffusion ainsi que de productions inédites sans avoir à divulguer ses positions de négociation ou sa stratégie. À cet égard, les diffuseurs publics indépendants diffèrent des autres entités gouvernementales. C’est la raison pour laquelle les autres démocraties parlementaires protègent leurs diffuseurs au moyen d’exclusions, comme celle qui figure actuellement au paragraphe 68.1 de la LAI. Le Canada ne devrait pas se montrer en reste. Contrairement à ce qu’affirment les défenseurs du projet de loi, l’interprétation du paragraphe 68.1 de la LAI ne pose plus de problème, puisque les tribunaux en ont précisé le sens; du reste, le libellé du paragraphe relatif à l’exemption du projet de loi C-461 n’est pas plus clair de prime abord que celui du paragraphe 68.1. En outre, si le projet de loi était adopté, le bénéfice des longues délibérations des juges sur la loi existante serait aboli. Il y a plusieurs années, la commissaire à l’information a intenté une action en justice à l’encontre de CBC/Radio-Canada en raison de plaintes concernant le refus du radiodiffuseur de produire des documents, celui-ci invoquant le paragraphe 68.1 de la Loi sur l’accès à l’information. La commissaire à l’information a objecté que la décision avait été prise par le diffuseur seul et elle a allégué qu’elle devait avoir le droit d’examiner les dossiers afin de déterminer si les renseignements qu’ils contenaient répondaient à la définition et se rapportaient bien à des activités de journalisme, de création ou de programmation. La Cour fédérale s’est rangée à l’avis de la commissaire à l’information (15 septembre 2009). CBC/Radio-Canada a interjeté appel, mais la Cour d’appel fédérale a confirmé le jugement (23 novembre 2011). En vertu du jugement rendu, CBC/Radio-Canada et la commissaire à l’information collaborent à présent au traitement des plaintes (la commissaire examinant les dossiers pour déterminer si l’exclusion s’applique) et les deux parties se disent satisfaites de cet arrangement. Les deux parties s’entendent aussi sur une exception catégorique, à savoir celle concernant la protection des sources d’information des journalistes. La Cour d’appel fédérale a statué que le droit d’examen de la commissaire ne s’étendait pas aux renseignements qui pourraient dévoiler l’identité des sources (« l’exclusion visant les sources journalistiques… est absolue »). Le CJFE est d’avis que la loi actuelle a été clarifiée et qu’elle semble opérante. La commissaire à l’information a d’ailleurs récemment décerné la note « A » à CBC/Radio-Canada pour le raccourcissement remarquable de ses délais de divulgation aux termes de la LAI. À présent, CBC/Radio-Canada ne refuse les demandes de divulgation que dans 4,2 % des cas. Le projet de loi C-461 anéantirait le bénéfice de la décision de la Cour d’appel fédérale, qui a permis de clarifier la loi et de la rendre plus efficace. Il créerait, en fait, le type même d’incertitude auquel il prétend mettre fin. Si les démocraties parlementaires offrent à leurs diffuseurs publics la protection d’une exclusion, c’est parce qu’une exclusion protège mieux leur intégrité et leur indépendance qu’une exemption. En supprimant la clause d’exclusion et en introduisant une exemption, le projet de loi C-461 renverse la charge de la preuve. Si ce projet de loi est adopté, CBC/Radio-Canada se verra à chaque fois dans l’obligation de prouver devant les tribunaux que la divulgation de certains documents porterait atteinte à son indépendance. Notons que ce terme d’indépendance ne s’applique pas à l’intégrité des activités de journalisme, de création et de programmation de CBC/Radio-Canada, mais uniquement à l’indépendance de la Société, par quoi on entend généralement son indépendance à l’égard de l’influence ou de l’ingérence du gouvernement et du Parlement. Il s’agit donc d’une protection extrêmement limitée, qui se prête à des interprétations subjectives. En d’autres termes, si le projet de loi C-461 est adopté, CBC/Radio-Canada devra démontrer, dans chaque cas, pourquoi les renseignements ayant trait au journalisme et à la programmation – y compris les carnets de reporters, les renseignements sur les sources confidentielles et tous les autres renseignements portant sur la manière de trouver les sujets de reportages, de collecter les informations, de les sélectionner et de les présenter – ne devraient pas être mis dans le domaine public. En pratique, le projet de loi C-461 renverserait la décision de la Cour d’appel fédérale conférant à CBC/Radio-Canada le droit absolu de protéger ses sources journalistiques, en conformité avec les décisions de la Cour suprême du Canada. Dans ces circonstances, quel donneur d’alerte se risquera-t-il à s’adresser à un reporter de CBC/Radio-Canada? Comment les journalistes de CBC/Radio-Canada pourront-ils, en toute bonne foi, promettre de protéger leurs sources? Comment – sur le plan commercial aussi bien que sur le plan déontologique – le diffuseur public pourra-t-il continuer à faire du journalisme d’enquête si ses méthodes et ses recherches sont susceptibles d’être révélées à ses concurrents ou aux personnes faisant l’objet de ses enquêtes? En pratique, cela aura pour effet de paralyser les journalistes de CBC/Radio-Canada et de gravement compromettre la capacité du diffuseur public à faire du journalisme indépendant. Sous couvert d’accroître la responsabilisation, ce projet de loi détruira en fait la capacité de CBC/Radio-Canada à demander des comptes au gouvernement et aux puissants groupes d’intérêt. Le CJFE considère qu’une exemption fondée sur un critère de préjudice constitue une grave menace pour la liberté d’expression au Canada car elle ne protège pas adéquatement les intérêts de CBC/Radio-Canada en tant que diffuseur public. Il y a également lieu de signaler qu’en vertu de la loi actuelle, CBC/Radio-Canada est déjà assujetti à une surveillance bien plus étroite que ses concurrents. Le projet de loi C-461 accentue cette disparité. S’il était adopté, il ôterait à CBC/Radio-Canada la capacité de faire du journalisme d’enquête et il amoindrirait sa place dans la société canadienne. Le projet de loi C-461 introduit également plusieurs amendements à la LPRP sous couvert d’harmoniser cette loi avec le nouveau libellé de la LAI. Or ces amendements pourraient avoir des conséquences inattendues. En effet, ils révoquent le droit qu’a CBC/Radio-Canada de refuser de divulguer les renseignements personnels recueillis à des fins journalistiques, sous réserve de preuve d’atteinte à l’indépendance de la Société. On peut donc imaginer CBC/Radio-Canada enquêtant sur une personnalité de la mafia, et cette personne assignant CBC/Radio-Canada en justice pour l’obliger à révéler tout élément d’information découvert à son sujet avant même la diffusion du reportage. Aucun diffuseur privé ne serait assujetti à de telles dispositions. En soi, cela sonnerait le glas non seulement du journalisme d’enquête, mais de tout journalisme de fond. Nous avons remarqué que depuis que CBC/Radio-Canada est assujettie à la LPRP, la vaste majorité des demandes d’accès à l’information visant le diffuseur public proviennent d’un concurrent des médias à la recherche de renseignements – sur le salaire d’une personnalité de premier plan ou le montant de la soumission de CBC/Radio-Canada pour l’exclusivité des droits de diffusion des Jeux olympiques, par exemple – et que la majeure partie de ces renseignements lui donneraient un avantage concurrentiel s’ils lui étaient communiqués. Nous craignons donc que loin de contribuer à une plus grande responsabilisation, le projet de loi C-461 ne vise à affaiblir le diffuseur public en donnant l’avantage à ses concurrents à des fins idéologiques. Une façon curieuse de promouvoir la responsabilisation ou le journalisme d’intérêt public!